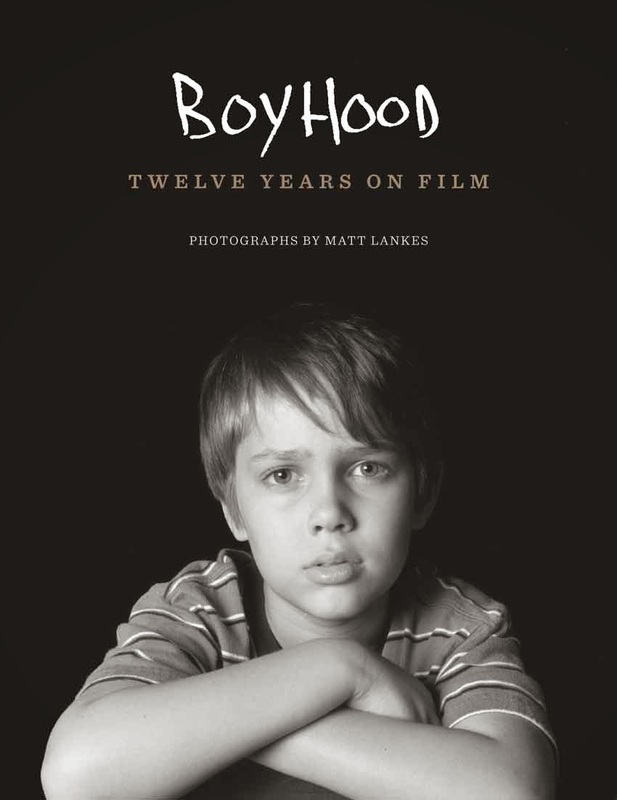 To purchase Boyhood: Twelve Years on Film , please visit University of Texas Press. Richard Linklater's Boyhood was released earlier this year to universal praise for it's ground-breaking mode of production and ability to capture the true essence of growing up. "Boyhood: Twelve Years on Film" could be seen as an essential companion for all those who were deeply moved by the film, but it is so much more than that. The book is a true work of art within itself which captures in photography what Boyhood captures on film, which is the cast as their characters growing up in front of the camera and a story being told through Matt Lankes exquisite photography. 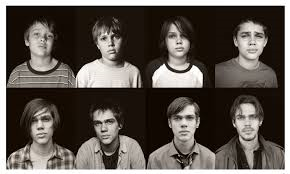 Boyhood was shot over a period of twelve years chronicling the life of young Mason (Ellar Coltrane) from when he was five years old till he turned eighteen and left home to attend college. The cast and crew shot the film for a period of two weeks in each of these twelve years and Texan photographer, Matt Lankes was on hand to capture stills from the film and behind the scenes, as well as take portraits of Coltrane, Lorelei Linklater, Ethan Hawke, Patricia Arquette, Richard Linklater and the rest of the cast and crew. "Boyhood: Twelve Years on Film" captures the process of growing up in a series of photographs taken over the period of twelve years, as well as providing visual documentation of the making of Linklater's film. The black and white photographs taken by Lankes are not only beautiful, but also quite haunting in the way they capture the character as they were in that moment. The cover photo of Mason as he appeared at the beginning of the film is filled with the innocence, while the final photo on the back cover shows a more worldly Mason at the age of eighteen. The series of portraits of each of the main characters show the process of how each evolved into who they become at the end of the film and tell a story about who they were at that exact moment in each portrait. It is true artistry for a portrait to be able to capture so much and also a testament to each of the cast for being able to portray their character so well in just one shot. The colour stills from behind the scenes are also intriguing, fun and well shot. The photographs are accompanied by written contributions from Coltrane, Hawke, Arquette, Lorelei Linklater, Richard Linklater, producer Cathleen Sutherland and Lankes himself. Each writes a few words on their experience making the film and their understanding of their character. Unlike a typical film companion where a film's cast and crew give a step by step recount of their experience on set, the words the cast and crew have taken to describe their experiences are incredibly deep and heartfelt. Patricia Arquette in particular contributes a lengthy, but wonderful account of what her character and other characters in the film meant to her. Lorelei Linklater's contribution is rather short, but expresses how much the experience meant and for that reason she struggles to put it into words because of it's importance. "Boyhood: Twelve Years on Film" is by no means the traditional film companion, but even if one was to expect this there would be only pleasant surprise. It is a celebration of life in art and an exquisite keepsake for Boyhood admirers.